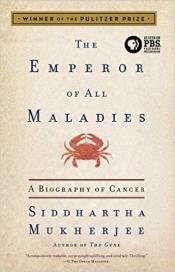 The RRTTC partnered with Healthy Cedar Valley Coalition to bring a book club to the Cedar Valley.The chosen book, "The Emperor of All Maladies" is a "magnificent, profoundly humane "biography" of cancer-from its first documented appearances thousands of years ago through the epic battles in the twentieth century to cure, control, and conquer it to a radical new understanding of its essence." We collaborated on four Monday nights in February, March, and April at the Cedar Falls Public Library. The goal of the film series is to come together and work collaboratively to offer a film series to the larger UNI and Cedar Valley community to challenge all involved to learn more about sustainability issues and to envision and discuss solutions to those issues, helping all of us to move toward a sustainable society in a fun and interesting way.The 2014-2015 Educational Film Series presents several films on the topics of biology, sustainability practices, political influences on the environment and major efforts of filmmakers and businesses to have a positive impact on the environment. All films were shown at 7 PM in the Center for Energy and Environmental Education building on UNI's campus. Parking was free and provided across the street and there was no cost to attend the film series.